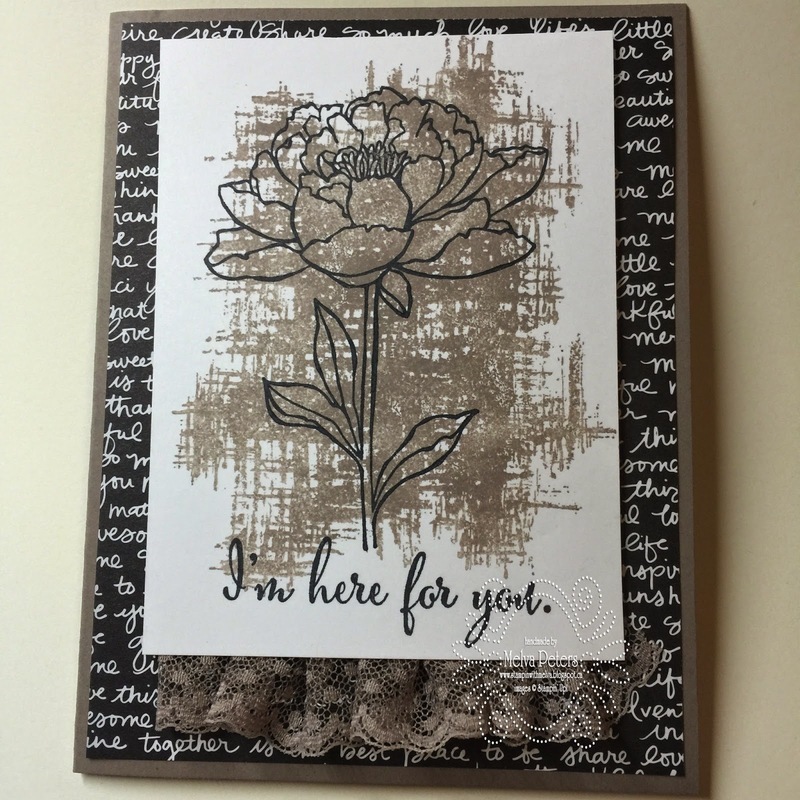 As I mentioned in my last post, I've been playing with some of the amazing new products in the Stampin' Up! catalogue that comes out on June 2nd. Wow! There are so many on my shopping list. I wanted to share a few of the products with you. I think this is one of my favourites! The stamp set is called "You've Got This". 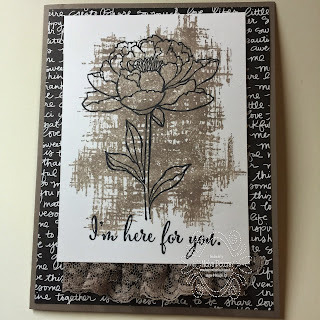 I used the new In Colour "Tip Top Taupe" along with the 1" Dotted Lace Trim Ribbon and the Neutrals Designer Series Paper Pack. This was so easy and quick to make and I love how it turned out! 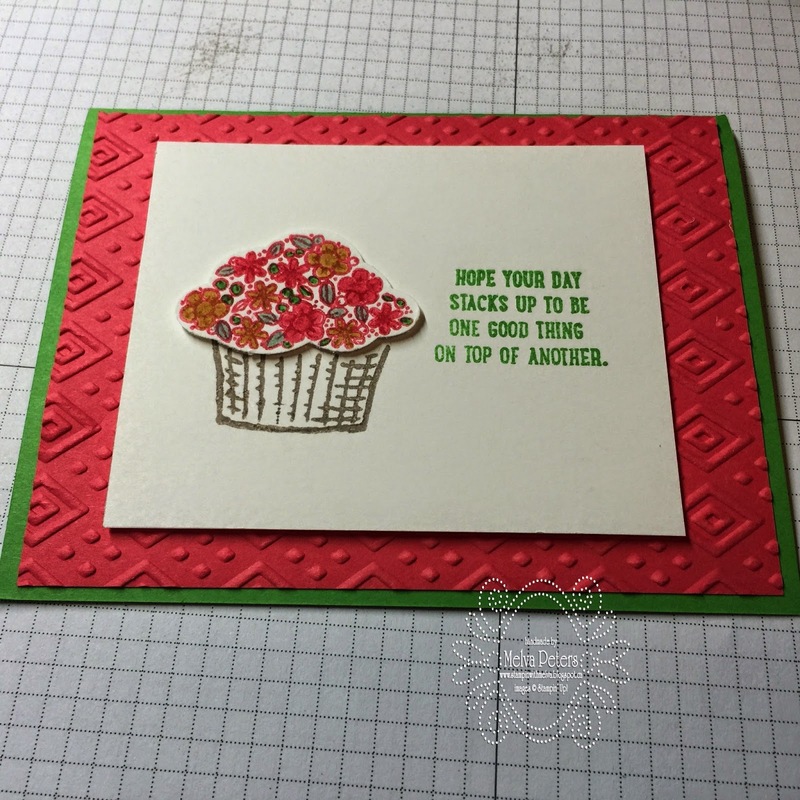 This card uses the "Sprinkles of Life" stamp set that is the Ronald Mcdonald House Charities set this year along with the coordinating punch! I used the new in colours - Watermelon Wonder and Cucumber Crush and the Boho Chic Embossing Folder. 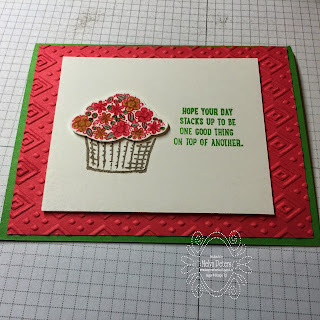 For the flowers in the basket, I stamped in Watermelon Wonder and then coloured them with my markers. Do you have your new catalogue yet? If not email me and I'll get you one. Starting on June 2nd when the catalogue is released I'm having my BOGO event. You can participate even if you're not local to the New Westminster area. You can purchase my retired product at regular price (plus tax and shipping (if you're not close enough to pickup) and you'll receive the same amount in FREE product from the new catalogue. I'll post my retired product list from last year's catalogue on June 2nd at 9am Pacific time. If you're interested in any of the items, send me an email with your items PLUS your order for new product. In case there is more than one person interested in the item, I'll go by the date/time the order is received. You must send me your new order and payment at the same time. Check out the Weekly Specials!